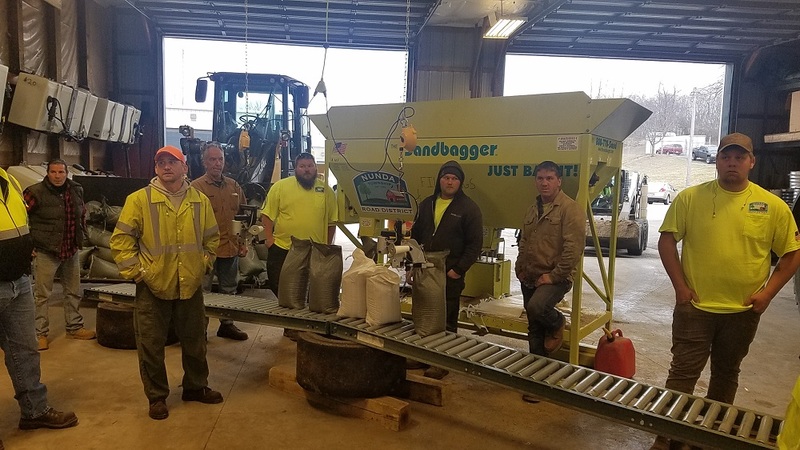 April 13, 2018 Demo at the Nunda Township Road District with our Model II Sandbagger. 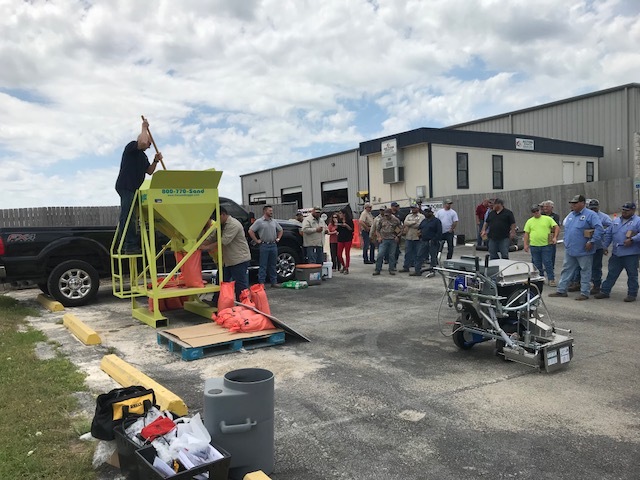 Demo in Austin TX at Dobie Supply, LLC. For our 2 Chute Gravity Fed Bagging machine. 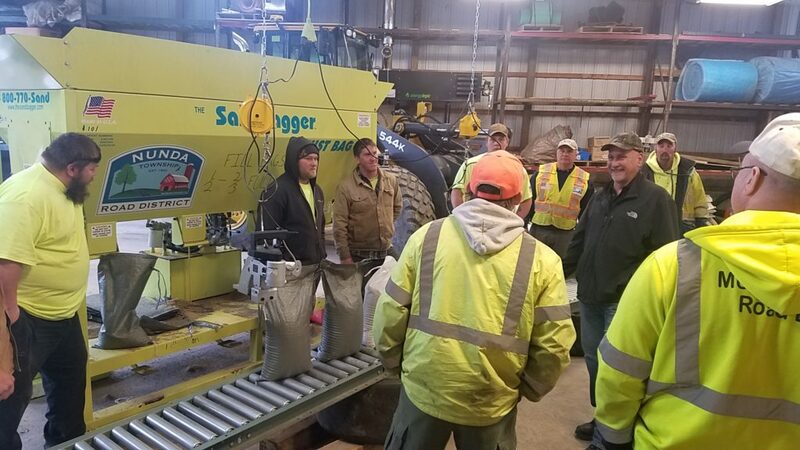 Madison County EMA is Currently Experiencing Flooding and The Sandbagger is there to help. We love our Sandbagger. We actually have access to two units which we can run simultaneously if the situation warrants. Any jurisdiction in a flood prone area should consider this piece of equipment. 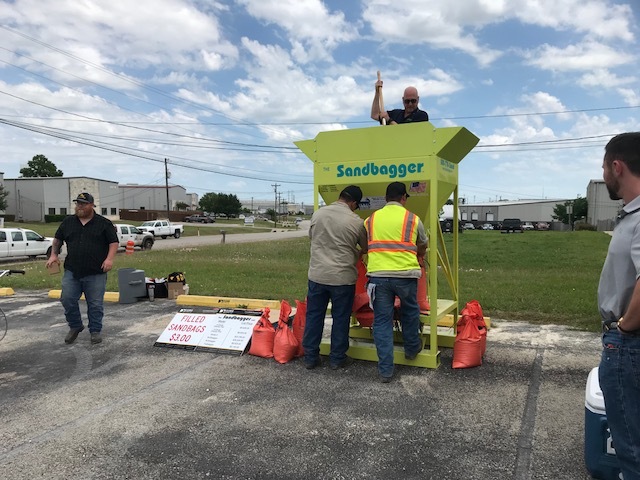 Click on the Link Below to see the Sandbagger in action starting at 1:31 in this news report from Idaho TV station KTVB. 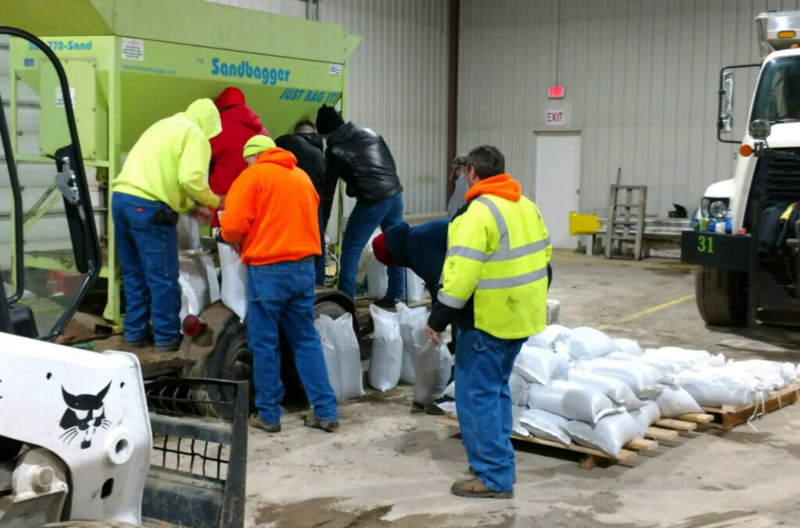 MLGW employees helping fill sandbags to be used for flood mitigation efforts across the city. Teams were using various methods to fill hundreds of sandbags that MLGW crews were then taking out in the field. National Guard Soldiers and Airmen filling and distributing sandbags at the Arvada Fire Protection District Training Center. Video includes Soldiers and Airmen filling and stacking sandbags, unloading sandbags from military vehicles with Arvada Fire Fighters, laying sandbags along roads. Tim is in Pavilion NY doing demos at an open house hosted by George & Swede Sales and Service. (We met Greg, from George & Swede at the AED show!!!) Equipment dealers from all around come in for this event which is held annually. 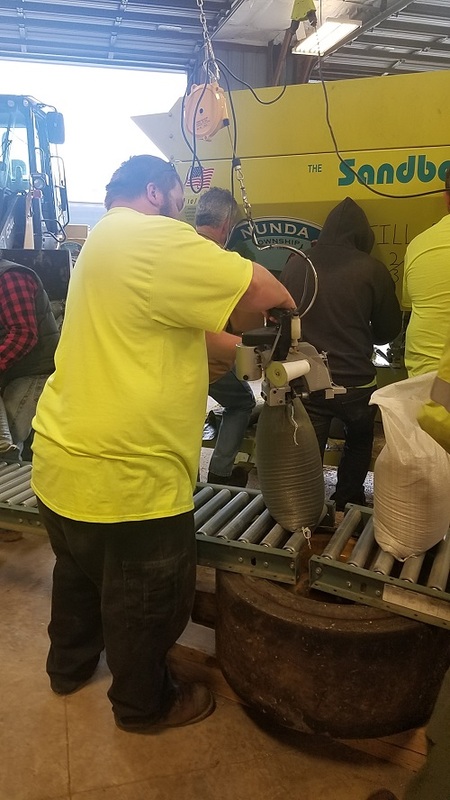 They can also get a “hands on” demo of The Sandbagger machine! WOW! 14,000 Sandbags filled in one night!!! Check out this short video of how efficient The Model II Sandbagger machine is.